The Thomas Crown Chronicles: Timbo Mystery: Will the Real Kelly/Kelli Price Please Stand Up! Timbo Mystery: Will the Real Kelly/Kelli Price Please Stand Up! Fans and followers of The Thomas Crown Chronicles know how much we love rumors and mysteries regarding Timbaland, and today I think we have real Timbo history gem. Have you ever listened to "Talking on the Phone" off of Tim's Bio and thought, "Damn, Kelly Price sounds a little off on this track. She doesn't really sound like herself."? Well, there might be a reason for that. Truth is, that might not be the Kelly Price that most music fans know. Much to my surprise, Keli was born and raised in Virginia Beach, where she met and became friends with Missy Elliott while she (Keli) was in high school. According to the article, Missy really enjoyed Keli's voice and songwriting skills, and soon enlisted Keli to write and record vocals for some of Missy's upcoming projects. What upcoming projects you might ask? Well, after some research, I cam across THIS interesting post on the Nicole Wray fan blog, "Nicole Wray: Billy Holliday of the Streetz," that featured a discussion on Keli Nicole Price. According to the blog, while Keli frequently recorded vocals and cowrote songs for Missy and Timbaland, she was often uncredited or wrongly credited (for example, Kelly Price). On which songs exactly? How about: Lil' Mo's "5 Minutes," "Talking on the Phone," Nicole Wray's "Make it Hot," Missy's "Hit em wit da hee" remix, "Married" off the 30 years to Life Soundtrack, AND Missy's entire Supa Dupa Fly album!! One word: UNBELIEVABLE! It's so unbelievable that most of the Timstans I spoke with didn't want to believe that this was true. How could someone not receive proper writing and/or background vocal credit for so many songs?? How could Missy (and even Timbo) not correct the situation? Why didn't anyone get sued? So many questions, and not one answer. 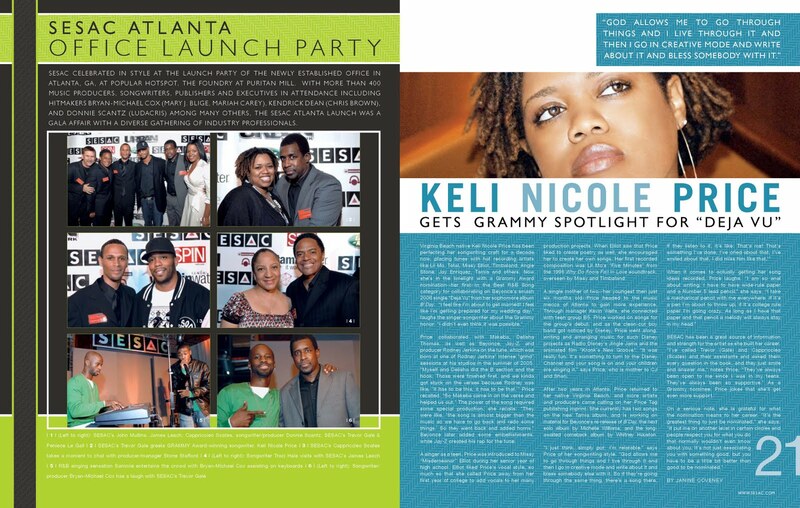 Kelly Price or Keli Price, if either of y'all are reading this, hit up the Chronicles! Will the real Kelly Price/Keli Price please stand up!! I thought everybody knew that that was a totally different Kelly Price lol. I knew as soon as I heard her the first time that she was a different singer. I recognized her voice from Missy's Hit Em Wit Da Hee remix and Nicole Wray's Make It Hot. She was in both videos too. I remember her in the Total song Do Something. Her voice was amazing, but I didn't know she wrote too because they didn't credit her for that. I found her on youtube and she has a few new songs but she sounds different to me. I liked her voice better with Missy and Tim.